With branched evolution currently active in the game, we would like to discuss the best option for evolving your hard earned Poliwhirl. 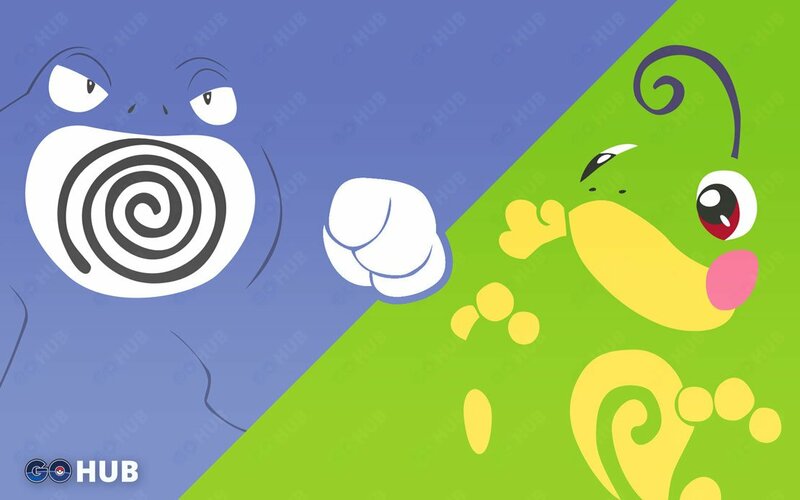 Poliwhirl is rather common in most biomes and areas, so Poliwrath and Politoed are going to be rather common in Gyms also. We will analyze both options individually and then compare them with the current Gym meta in mind. Poliwrath is a balanced attacker/defender Pokemon, with average stats. Also we can look at all the possible Poliwraths’ moves, but be advised, there is a lot of possible moves for Poliwrath, so expect some evolution anxiety. In reality you want one of the any of the movesets with Hydro Pump, but remember that Mud Shot is now a legacy move. Unfortunately, it’s lowish CP holds it down and creates a situation in which Politoed is almost always dealing less damage than Poliwrath. Evidently, it’s easier to get a Politoed with a good moveset than Poliwrath. When we first approached this topic, we were quite sure that we knew the answer. Surely, the newly introduced and very expensive to obtain Politoed, was to be the better evolution than the “dirty old” Poliwrath. After all the tests we’ve done, there is no scenario in which Politoed is better than Poliwrath. Poliwrath has better stats, higher CP, access to better moves and simply a better overall position in the meta. Save that King’s Rock for Slowking and stick with your favourite Poliwrath.